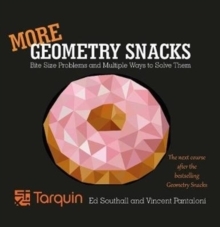 It is the companion volume to the highly successful Geometry Snacks. Each puzzle is carefully designed to draw out interesting phenomena and relationships between the areas and dimensions of various shapes. 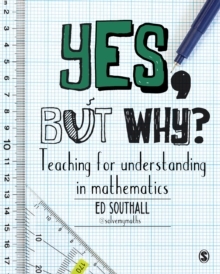 Furthermore, unlike most puzzle books, the authors offer multiple approaches to solutions so that once a puzzle is solved, there are further surprises, insights and challenges to be had. As a teaching tool, More Geometry Snacks enables teachers to promote deep thinking and debate over how to solve geometry puzzles. Each figure is simple, but often deceptively tricky to solve - allowing for great classroom discussions about ways in which to approach them. 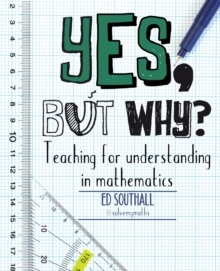 By offering numerous solution approaches, the book also acts as a tool to help encourage creativity and develop a variety of strategies to chip away at problems that often seem to have no obvious way in. 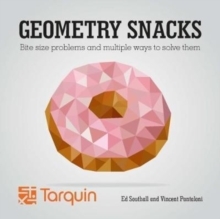 More Geometry Snacks offers another batch of puzzles.